is a non-inflammatory eye condition in which the normally round dome-shaped cornea progressively thins causing a cone-like bulge to develop. This results in significant visual impairment. The actual incidence of KC is not known. It has been estimated to occur in 1 out of every 2,000 persons in the general population. 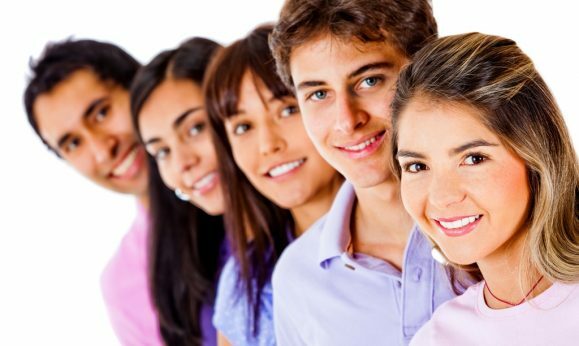 Keratoconus is generally first diagnosed in young people at puberty or in their late teen’s. It is found in all parts of the United States and the rest of the world. It has no known significant geographic, cultural or social pattern. and can impact their ability to function at their highest level. It is important for caregivers to schedule regular eye exams beginning in infancy, and to screen for KC during the teen and early adult years. A missed or delayed diagnosis can be debilitating. 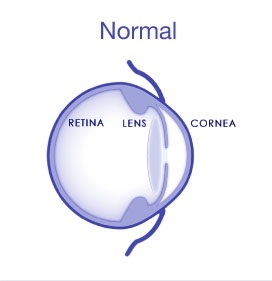 The cornea is the clear window of the eye. It is responsible for refracting most of the light coming into the eye. Therefore, abnormalities of the cornea severely affect the way we see the world making simple tasks, like driving, watching TV or reading a book difficult. 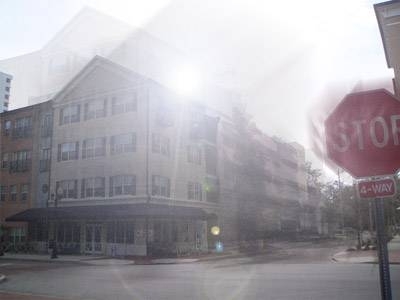 In its earliest stages, keratoconus causes slight blurring and distortion of vision and increased sensitivity to light. These symptoms usually first appear in the late teens and early twenties. Keratoconus may progress for 10-20 years and then slow or stabilize. Each eye may be affected differently. or vision that cannot be corrected with glasses. Symptoms of keratoconus generally begin in late teenage years or early twenties, but can start at any time. The exact cause of keratoconus is unknown. There are many theories based on research and its association with other conditions such as allergies and genetic causes however, no one theory explains it all and it may be caused by a combination of things. Learn More About Causes Here. There are several effective treatments. In the early stages, eyeglasses or soft contact lenses may be used to correct the mild nearsightedness and astigmatism caused in the early stages of keratoconus. As the disorder progresses and the cornea continues to thin and change shape, rigid gas permeable (RGP) contact lenses are generally prescribed to correct vision more adequately. The contact lenses must be carefully fitted, and frequent checkups and lens changes may be needed to achieve and maintain good vision. 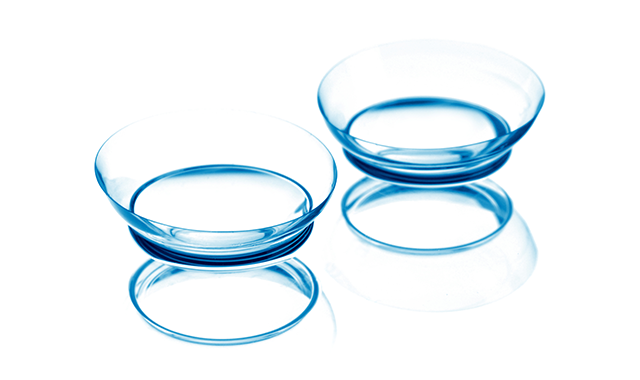 Intacs, intracorneal rings, are sometimes used to improve contact lens fit. Corneal crosslinking is a new treatment option under investigation to halt the progression of keratoconus. In severe cases, a corneal transplant may be needed due to scarring, extreme thinning or contact lens intolerance. This is a surgical procedure that replaces the keratoconus cornea with healthy donor tissue. 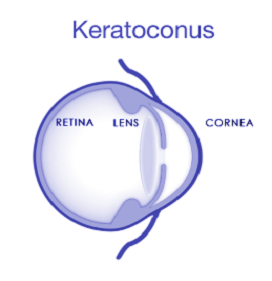 Learn More About Keratoconus Treatments Here.